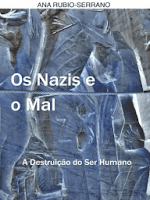 NAZISM AND HOLOCAUST NAZISMO Y HOLOCAUSTO: "The Nazis and Evil: The Annihilation of the Human Being"
Nazism opened the door to global terrorism. It designed a structural evil in which no one was safe, not even the German people themselves. The enemy: anyone able to think freely for themselves, in a manner contrary to rules dictated by the Nazis. The Aryans were merely "manufactured individuals," designed for violence, that is to say, dehumanized intelligent automatons. The socialization of crime through violence-turned-culture was one of the objectives that the Nazis managed to establish within the camps and throughout society. 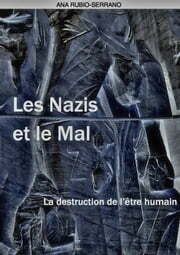 This is a current book that reflects on the past and offers us questions on the present.The Nazis and Evil is a concise and intelligently written dissection of the Nazi regime and the different dimensions of humanity that it attacked to achieve its goals. It has special poignancy because of its dedication to the memory of a real prisoner who was in the Mauthausen concentration camp. Translated into 5 languages, this book has been thoroughly researched from source files in Germany. 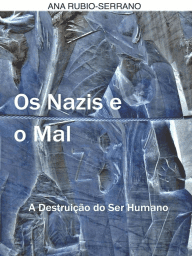 Rubio-Serrano documents how Nazism succeeded by the eradicating the humanity of all of the people it involved, both victims and perpetrators. She ends on a brighter note by reminding us of the brave souls who spoke out again Nazism and how because of them humanity, not Nazism, triumphed in the end. The forward by Dr. Norbert Bilbeny, a professor of ethics at the University of Barcelona, provides an excellent moral framework for the book. 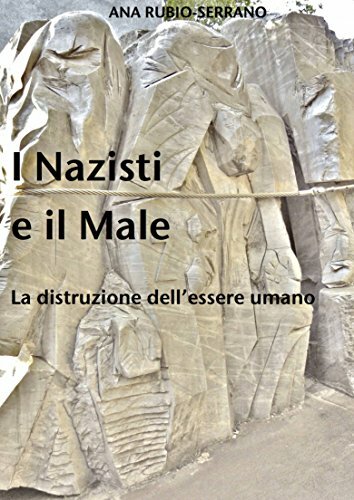 The important theme of the book is that the evil that was embodied in Nazism is not simply something to be studied as part of history. The dark ideas and motives that created the Nazi menace still reside in the human soul, and it is essential to understand them to prevent something like the Nazism from rising again. We ignore its message at our peril. I highly recommend this important and excellent book! More Reviews on Amazon, Barnes and Nobles, Kobo, and Apple. 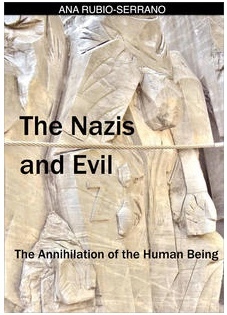 The Nazis and Evil is a concise and intelligently written dissection of the Nazi regime and the different dimensions of humanity that it attacked to achieve its goals. It has special poignancy because of its dedication to the memory of a real prisoner who was in the Mauthausen concentration camp. Translated into 5 languages, this book has been thoroughly researched from source files in Germany. Rubio-Serrano documents how Nazism succeeded by the eradicating the humanity of all of the people it involved, both victims and perpetrators. She ends on a brighter note by reminding us of the brave souls who spoke out again Nazism and how because of them humanity, not Nazism, triumphed in the end. The forward by Dr. Norbert Bilbeny, a professor of ethics at the University of Barcelona, provides an excellent moral framework for the book. 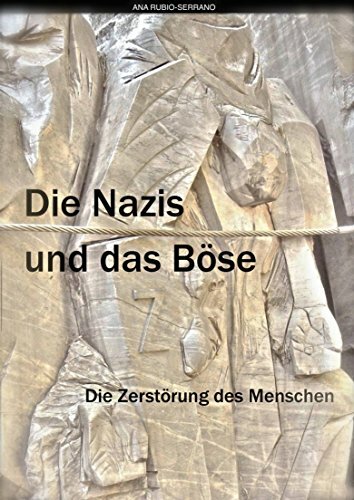 The important theme of the book is that the evil that was embodied in Nazism is not simply something to be studied as part of history. The dark ideas and motives that created the Nazi menace still reside in the human soul, and it is essential to understand them to prevent something like the Nazism from rising again. We ignore its message at our peril. I highly recommend this important and excellent book!